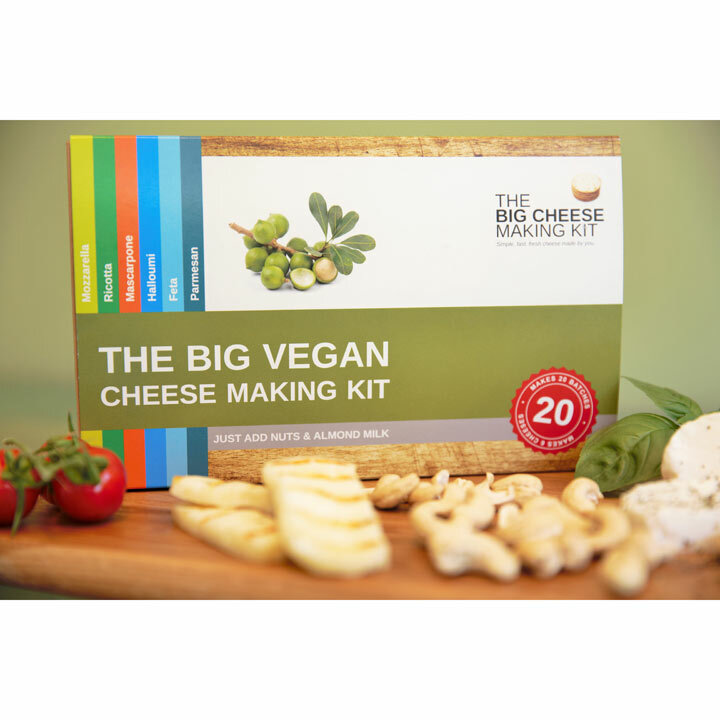 NEW for 2018 - The Big Vegan option; contains everything you need to make six varieties of dairy-free cheeses! 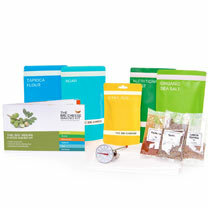 Herbs, instructions and delicious recipes included, makes 20 batches. These dairy-free cheese recipes have been developed to get as close to the 'real thing' as possible. 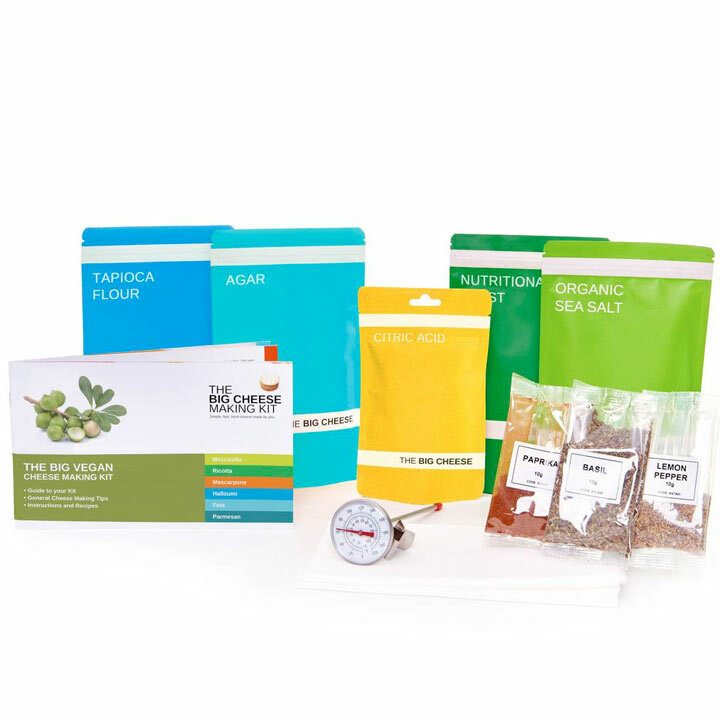 The recipes use either Cashews or Macadamia nuts, and a little almond milk. Makes vegan versions of Mozzarella, Ricotta, Mascarpone, Halloumi, Feta, Parmesan. For each cheese, you get wonderful recipes such as Vegan Chocolate Cake with Ricotta Icing and Fried Halloumi with Caper Salad.